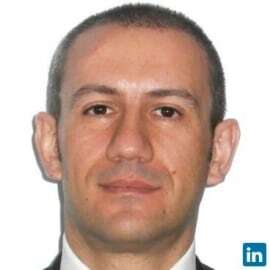 Francesco is the Head of Digital Innovation & Services (DIS) team at Menarini since May 2016. Seeding and enabling the digital transformation in a regulated environment is the key challenge he has been focused on in the last years, being committed in promoting new culture and sparking innovation. Francesco supported and coordinated the foundation and set up of the DIS, with the main focus of defining and supporting the Digital Transformation Program to help Menarini Group leapfrog and fully catch the Digital opportunity. DIS is supporting and stimulating a different thinking in the Company building up cross-functional teams, with internal and external stakeholders, to identify and pilot new innovative solutions. Passionate for technology and innovation, after been graduated as Computer Engineer, Francesco has been experienced a journey through different industry: he started as a consultant in Government, then moved to Telco, Food&Beverage, Retail and now Pharma.